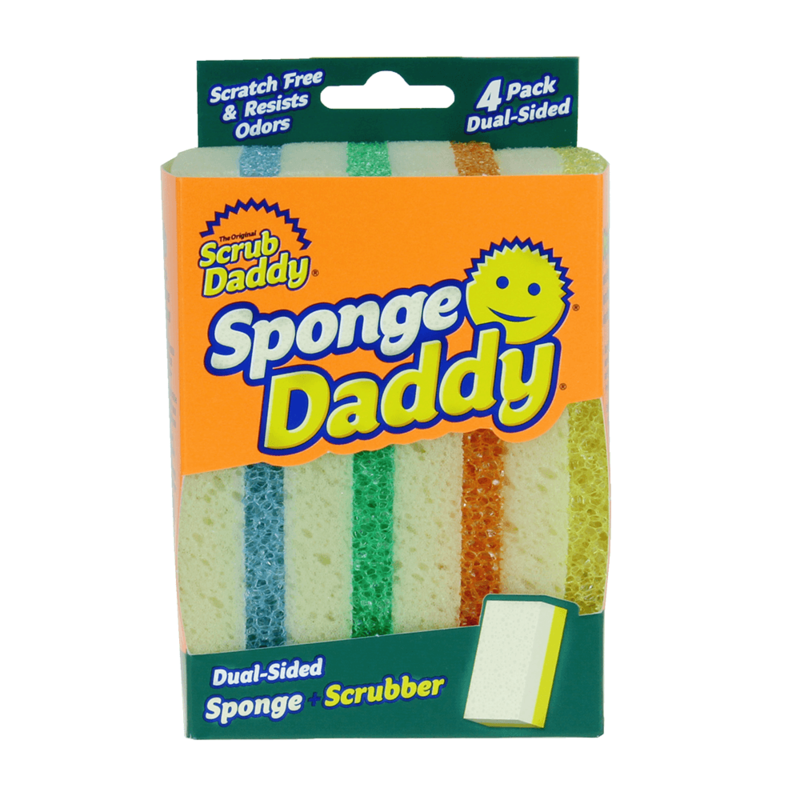 Sponge Daddy dual-sided sponges are a leap forward in cleaning technology and innovation. 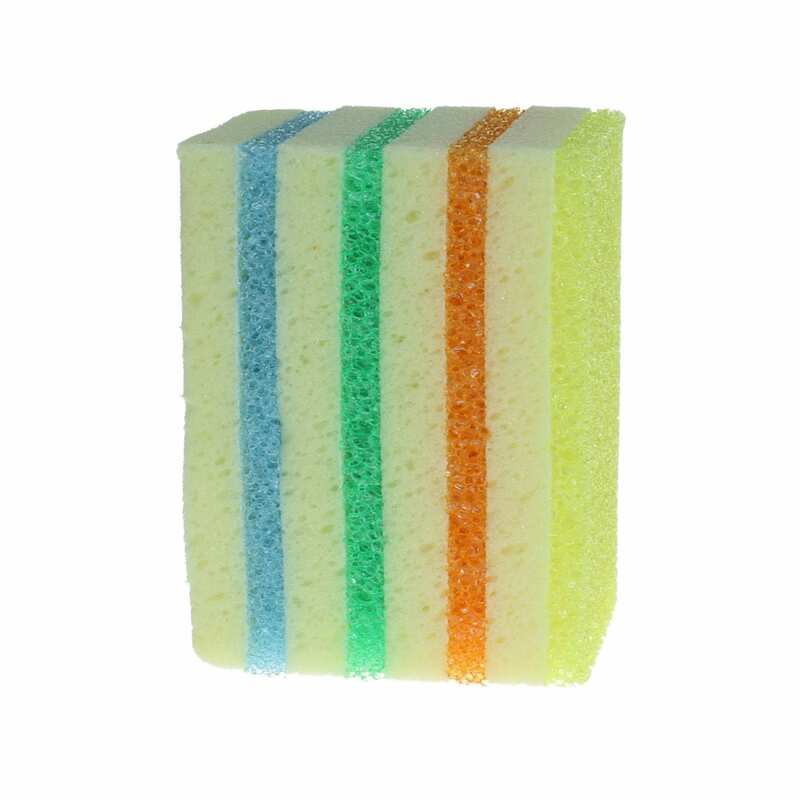 Colorful scratch-free FlexTexture is bonded to ResoFoam, making this multipurpose sponge ready to tackle any job. Dry surfaces faster, use less detergent and finally take control of how you clean. The one of a kind sponge has unique properties allowing it to change texture. As used by Mrs Hinch, Lynsey Queen of Clean and as seen on TV. FlexTexture® changes texture based on your water temperature. Firm in cold water for tough scrubbing, soft in warm water for light cleaning. He rinses free of debris, resists odours, and cleans well with water alone. Scratch free on over a dozen surfaces from non-stick to stainless steel and even car exterior paint. His eyes hold onto your fingers and mouth cleans both sides of utensils. Sanitise on the top rack of your dishwasher or in the microwave. Click here to read the review of Scrub Daddy by Lynsey, Queen of Clean from the popular Channel 4 show Obsessive Compulsive Cleaners. She is a big fan of how well he cleans on a massive range of surfaces! Perfect for cleaning well with water alone, the properties of FlexTexture® mean that harsh chemicals aren’t needed to cut through burnt or dried on debris. 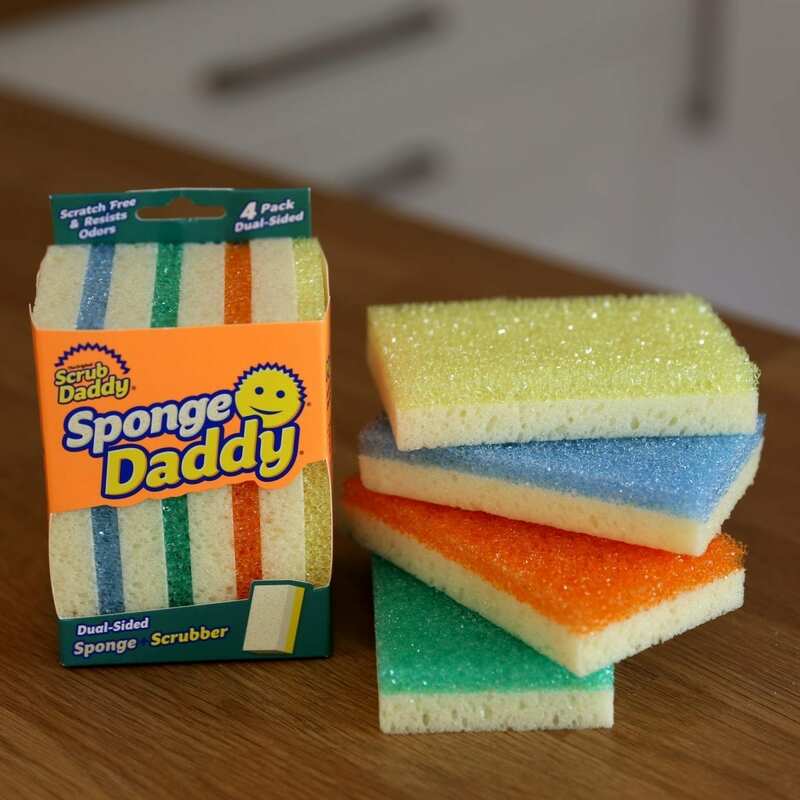 Unlike common kitchen sponges, Scrub Daddy doesn’t encourage bacterial growth as he dries so quickly! Express delivery is available for an additional fee. Standard delivery is via Royal Mail 48 - this is a 2-5 day delivery target service, if you need your order sooner than this, please ensure you contact us or upgrade to express delivery in the checkout. Express delivery orders will be delivered next-business day via UKMail/DHL. Order cut off for same-day despatch is 1pm GMT, any orders received after this will be despatched the next working day.